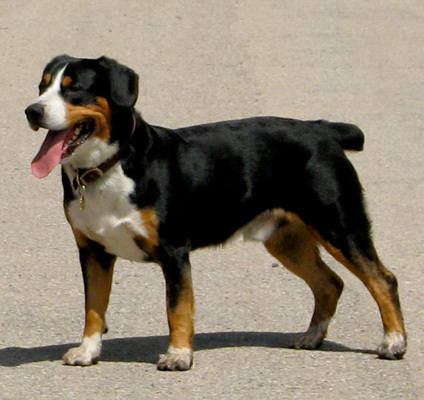 The Westminster Dog Show kicks-off on Monday with six new breeds on the roster – the Finnish Lapphund, the American English coonhound, the Entlebucher mountain dog (pictured above), the Norwegian Lundehund, the Cesky terrier, and the Xoloitzcuintli (show-low-its-KWEENT-lee), national dog of Mexico. That makes the total breed count 185. This entry was posted on Friday, February 10th, 2012 at 3:14 PM. It is filed under Blog. You can follow any responses to this entry through the RSS 2.0 feed.